For some borrowers in the senior housing industry—especially licensed senior care providers—the Department of Housing and Urban Development’s Section 232 Healthcare Mortgage Insurance program is already an attractive source of financing. But the program could appeal to an even larger pool of senior housing providers than currently thought, including those that have a large number of unlicensed units. The opportunity lies in a statute of HUD 232 that states applicants must “be in compliance with Section 1616(e) of the Social Security Act.” That section, also known as the “Keys Amendment,” was enacted in 1976 as a way to help boost standards for non-licensed senior housing communities, especially those in which a majority of residents get supplemental security income (SSI) benefits. Earlier this year in February, nonprofit SantaFe Senior Living—with the help of specialty investment bank Ziegler—took a unique approach to the Section 232 board and care criteria in obtaining approval on a $94.3 million HUD loan to refinance the Village at Gainesville, a rental senior living community in Gainesville, Florida. What makes the deal unique is that the community, which has 511 unlicensed independent living units and 128 licensed ones, doesn’t resemble a traditional board and care home, nor does it market itself as such. On paper, however, the community met all of the board and care home criteria as defined by the U.S. Department of Health and Human Services and complied with the Keys Amendment, and therefore was eligible for the loan. 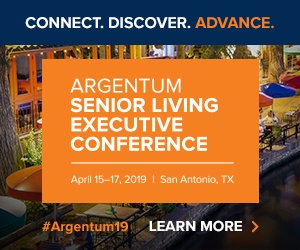 That case could provide a roadmap for many other senior living providers that are seeking financing options and technically fit the definition of a board and care home, according to Jeffrey Davis, chair of Cambridge Realty Capital. To be eligible for the loan, communities must fit the definition of a board and care home and provide annual proof of compliance with the Keys Amendment to the state in which it is located. As of July 11, only Iowa, Oklahoma and Rhode Island didn’t comply with the Keys Amendment, meaning potentially thousands of communities across the U.S. are eligible. While HUD loans may still not end up becoming the primary source of financing for non-licensed senior living communities, the new approach could unlock more financing during times when private lenders aren’t as willing to dole out cash, for instance. “In future years, [senior housing borrowers] may not have other options, or they won’t like what the options are,” Davis explained.